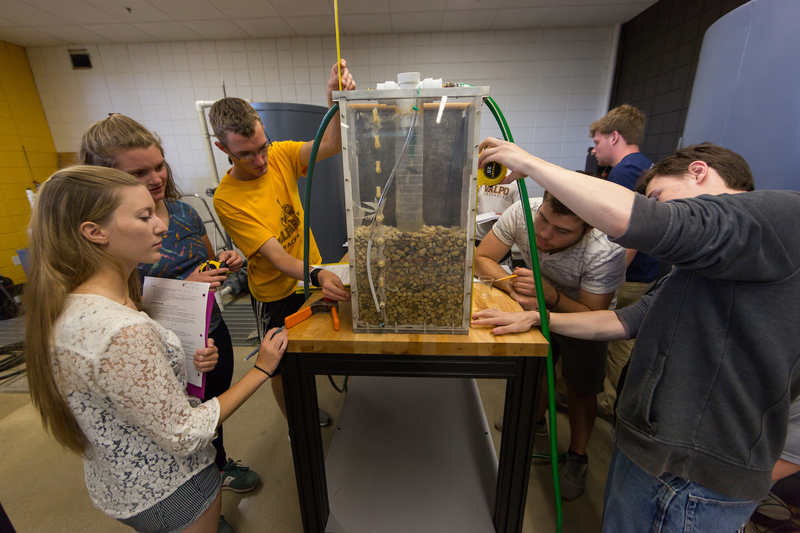 The environmental engineering department teaches students to develop the professional skills needed to work collaboratively with others to engineer solutions that protect our environment and use resources in a sustainable manner. 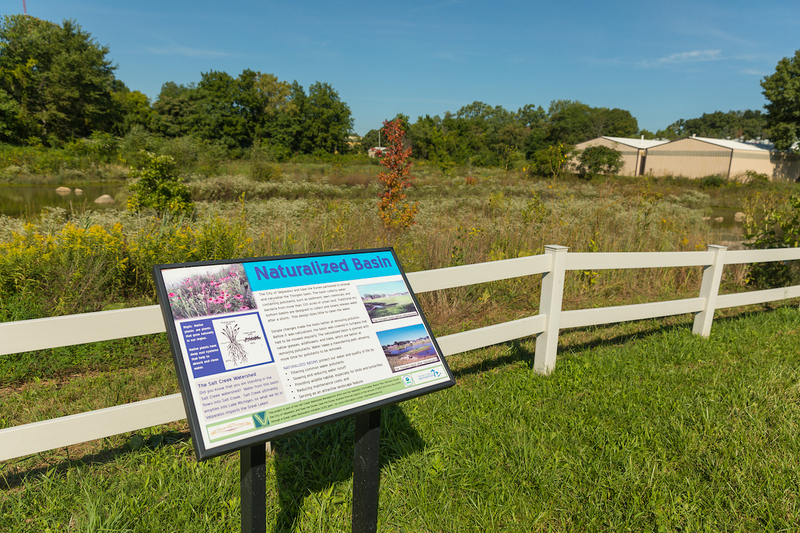 Through integrated classroom and lab experiences in engineering, chemistry, biology, and soil science, students will learn how to design solutions that help prevent, reduce, and treat pollution in our air, soil, and water. Students will develop the teamwork and communication skills needed to lead sustainable development initiatives. 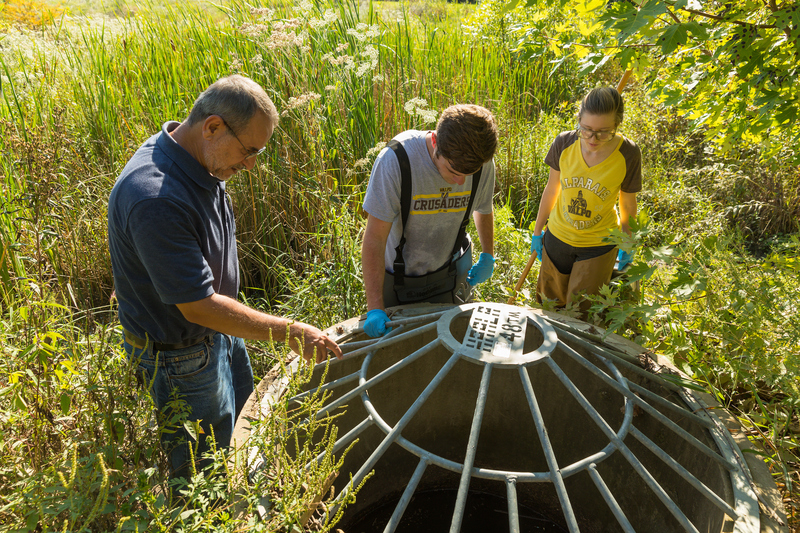 This knowledge will prepare students for a career solving global problems related to clean water access, water supply demands, air quality, and public health. Exclusive undergraduate program featuring small classes taught by experienced faculty. Highly collaborative program that is interdisciplinary in nature. Emphasizes comprehensive multi-disciplinary design projects and small laboratory groups that foster teamwork. Extensive computational and laboratory facilities in engineering and the Center for the Sciences: Chemistry and Biochemistry. Opportunities for undergraduate students to work with faculty during the semester and in the summer on research projects. Reputation for an inclusive learning environment in the college. 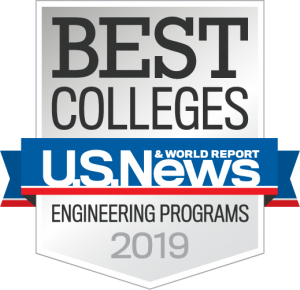 Cooperative education and internship programs with employment opportunities throughout the U.S.
A comprehensive program in environmental engineering at the undergraduate level. 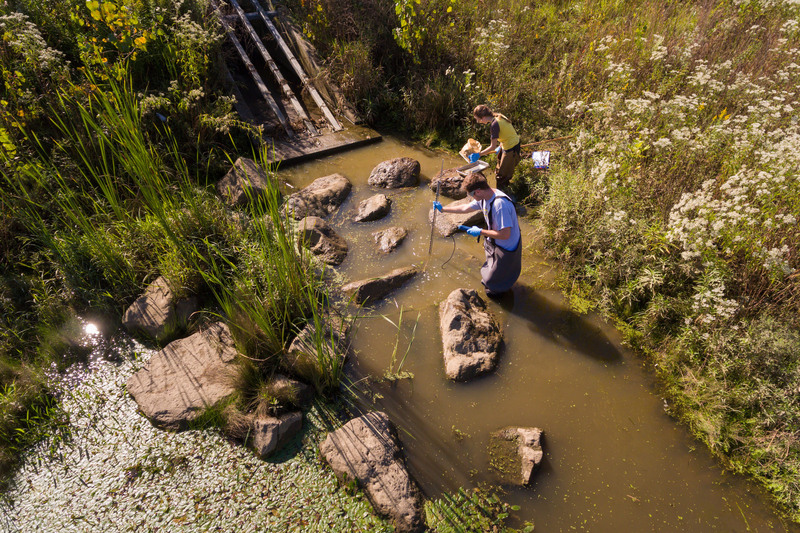 Students perform experiments and bench-top pilot-scale studies to determine water quality and groundwater or soil contamination design parameters that are required to design environmental treatment, remediation, and containment systems. Experimental results are used to verify the performance of the designed unit processes and to determine optimum system operational conditions. PHYS 141/L Newtonian Mechanics 4 Cr. CE 151 Computer-Aided Drawing 1 Cr. Humanities, Social Science, Theo Elective 3 Cr. STAT 240 Probability and Statistics 3 Cr. CHEM 115 Essentials of Chemistry 4 Cr. CE 215 Mechanics of Materials 3 Cr. MATH 260/270 Lin. Sys / Ordinary Dif. Eq. 4 Cr. Foreign Language / Diversity Elective 3 Cr. CE 260 Environmental Sustainability 2 Cr. CE 213 Tech. & Prof. Writing in Civil Engr. 1 Cr. EnE 210 Enviro. Toxic. and Risk Assessment 3 Cr. CHEM 116 App of Chem. Engr. 4 Cr. ME 270 Thermodynamics 3 Cr. EnE 330 Environmental Soils (Lab) 3 Cr. CE 334 Fluid Mechanics (Lab) 4 Cr. CHEM 221 Organic Chemistry (Lab) 4 Cr. CE 351 Prog. and Numerical Methods 2 Cr. EnE 310 Chemical Fate and Transport 3 Cr. CE 335 Hydrology 3 Cr. CE 365 Enviro. Engr. II: Water & Wastewat 3 Cr. Enviro. Engineering Professional Elective 3 Cr. EnE 360 Environmental Policy and Law 2 Cr. Bio 215 Fund. Microbiology for Engineers 3 Cr. CEE 493 Sr. Des. I: Project & Plan. Mgt. 3 Cr. THEO 200 The Christian Tradition 3 Cr. EnE 440 Introduction to Air Pollution 3 Cr. Environmental Engineering Elective 3 Cr. GE 311/GE 312 Fin. & Ethical Dec. in Eng. 3 Cr. CEE 494 Senior Des. II: Project Dev. & Des. 3 Cr. CE 281 Geo for Civil & Enviro Engrs. 3 Cr. EnE 450 Hazardous Waste Management 3 Cr. Total credits required for graduation = 130 Cr. 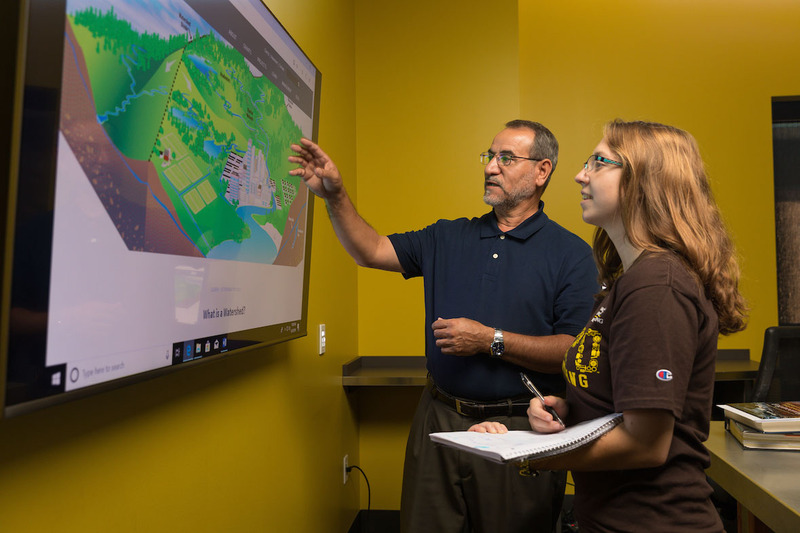 The College of Engineering will seek accreditation for the environmental engineering program through ABET (The Accreditation Board for Engineering and Technology) upon graduation of the first students in the program.